With longer life expectancy, increasing numbers of baby-boomer retirements from the active labor force and a low birth rate that now is lower than the death rate, the U.S. increasingly faces the need to find more workers. The source is obvious: more immigrants. The above demographic challenges are not just U.S. problems. See World Faces Demographic Challenges, dwkcommentaries.com (April 3, 2018). The Great Labor Crunch, Barron’s (Mar. 10, 2018). Editorial, America needs more workers. Trump’s war on immigration won’t help, Wash. Post (April 8, 2018). As has been frequently reported, during the argument Chief Justice John Roberts and Associate Justices Antonin Scalia, Samuel Alito and Anthony Kennedy asked questions and made comments strongly suggesting that they were prepared to invalidate this statutory provision, a conclusion that already had been reached by Associate Justice Clarence Thomas in a prior case. If this is a correct reading of the recent argument, then there would be at least a 5-4 majority on the Court to declare the provision unconstitutional. Here are just a couple of examples of that attitude from the argument. Roberts did not identify the source of his statistics, but afterwards the Massachusetts Secretary of State, William F. Galvin, and political scientists speculated that Roberts drew his conclusions from the U.S. Census Bureau’s “The Current Population Survey,” which collects information on voting and registration every other year. This data, however, should not be used in the way that Roberts did because of their large margins of error, as reported by Nina Totenberg of National Public Radio. 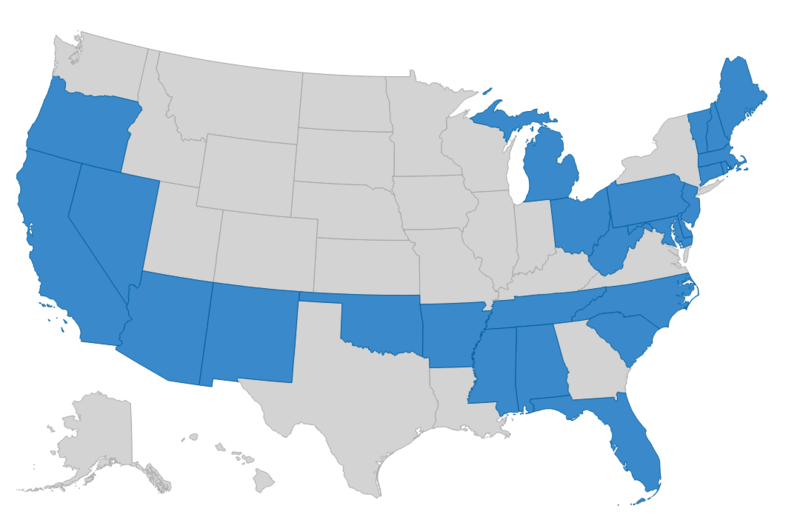 Nate Silver, the statistician, also criticizes Roberts’ trumpeting these figures about Mississippi and Massachusetts apparently to justify a conclusion that the Voting Rights Act provisions in question are no longer needed and, therefore, unconstitutional. I also fault the Chief Justice for focusing on only one small piece of evidence, however flawed or subject to qualification. Instead, he should be focusing on fundamental principles of judicial restraint as repeatedly proclaimed by the U.S. Supreme Court itself and as cited by the D.C. Circuit in its opinion in this case. “This Court doesn’t like to get involved . . . in racial questions such as this one. It’s something that can be . . . left to Congress. “The problem here, however, is . . . that the initial enactment of this legislation in a time when the need for it was so much more abundantly clear . . . in the Senate, . . . it was double-digits against it. And that was only a 5-year term. Then, it is reenacted 5 years later, again for a 5-year term. Double-digits against it in the Senate. Then it was reenacted for 7 years. Single digits against it. Then enacted for 25 years, 8 Senate votes against it. “And this last enactment [in 2006], not a single vote in the Senate against it. And the House is pretty much the same. “Now, I don’t think that’s attributable to the fact that it is so much clearer now that we need this. I think it is . . . very likely attributable, to a phenomenon that is called perpetuation of racial entitlement. It’s been written about. Whenever a society adopts racial entitlements, it is very difficult to get out of them through the normal political processes. I don’t think there is anything to be gained by any Senator to vote against continuation of this act. And I am fairly confident it will be reenacted in perpetuity . . . unless a court can say it does not comport with the Constitution. “You have to show, when you are treating different States differently, that there’s a good reason for it. That’s . . . the concern that those of us . . . who have some questions about this statute have. It’s . . . a concern that this is not the kind of a question you can leave to Congress. “There are certain districts in the House that are black districts by law just about now. And even the Virginia Senators, they have no interest in voting against this. The State government is not their government, and they are going to lose . . . votes if they do not reenact the Voting Rights Act. These remarks are shocking and totally inconsistent with the Court’s long-established principles of judicial restraint mentioned above and with Justice Scalia’s persistently stated views about judicial interpretation of statutes. What is your opinion on how the Voting Rights Act issue should be resolved? Some argue for holding that provision unconstitutional. Others agree with me that the provision should be upheld. 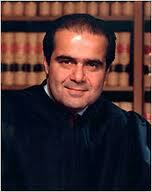 I went to the University of Chicago Law School before Mr. Scalia was on the faculty, and I have never met him. By all reports, he is a brilliant man who is gracious and funny in social settings. But his comments in this and other Court arguments along with some of his opinions lead me to believe that life tenure for Supreme Court Justices and perhaps other federal judges causes at least some of them to believe that they are omniscient. A possible solution to such arrogance, as I suggested in a comment to a prior post, is to amend the U.S. Constitution to impose a term limit on U.S. Supreme Court Justices and perhaps other federal judges. All 50 states in the U.S. and all major nations have age or term limits for high-court judges. The International Criminal Court limits its judges to one term of nine years. Such limits are not seen as restrictions on the necessary independence of the judiciary. The U.S. Constitution does not specifically grant life tenure to the justices or other federal judges. The Constitution merely says, “The Judges, both of the supreme and inferior Courts, shall hold their Offices during good Behaviour . . . .” Paul Carrington, a Duke University law professor, has suggested that the “good Behaviour” provision was not intended to provide life-time appointments and that term limits could be imposed by statute. This issue was phrased by the Supreme Court itself in granting review of the case. Previous posts have reviewed the Voting Rights Act of 1965; the Voting Rights Act of 2006; the prior Supreme Court case regarding the latter statute (Northwest Austin Municipal Utility District No. One v. Holder); and the decision of the U.S. Court of Appeals for the District of Columbia Circuit in the Shelby County case. The transcript of the recent Supreme Court arguments in Shelby County is available online as are the petitioner’s brief, the respondent’s brief for the U.S. Government and the reply brief for the petitioner in the case. Other briefs in the case for three intervenors, 19 amici curiae (friends of the court) supporting the petitioner and 28 amici curiae supporting the U.S. Government can also be found on the web. Excellent commentaries about the case are available on the respected scotusblog. E.g., Liptak, Voting Rights Law Draws Skepticism from Justices, N.Y. Times (Feb. 27, 2013); Gerstein, 5 Takeaways from the Voting Rights Act arguments, Politico (Feb. 27, 2013). Roberts’ hostility to the Voting Rights Act apparently goes back to 1981 when as a young lawyer in the Department of Justice he was working on Reagan Administration efforts to weaken the Voting Rights Act. 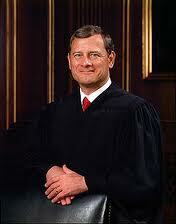 E.g., Blum, The Supreme Court Can Update the Obsolete Voting Rights Act, W.S.J. (Feb. 24, 2013); Room for Debate: Is the Voting Rights Act Still Needed?, N.Y. Times (Feb. 27, 2013) (Shapiro; Pilder); Savage, Decision on Voting Law Could Limit Oversight, N.Y. Times (Feb. 28, 2013); Will, The Voting Rights Act stuck in the past, Wash. Post (Mar. 1, 2013). E.g., Room for Debate: Is the Voting Rights Act Still Needed?, N.Y. Times (Feb. 27, 2013) (Wydra; Charles & Fuentes-Rohwer; Garza; Smith), supra; Savage, Decision on Voting Law Could Limit Oversight, N.Y. Times (Feb. 28, 2013), supra.